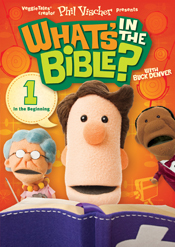 Join VeggieTales creator Phil Vischer and a boatload of new friends on a groundbreaking journey through the world’s most amazing book, the Bible! “In the Beginning” contains two 25-minute episodes. Part 1: “What is the Bible?” How is put together? 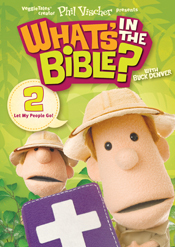 Kids learn alongside Buck Denver, Sunday School Lady, Brother Louie and the crew that the Bible tells the story of God and what He’s done for us.